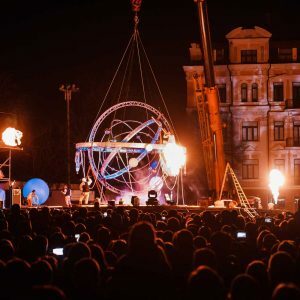 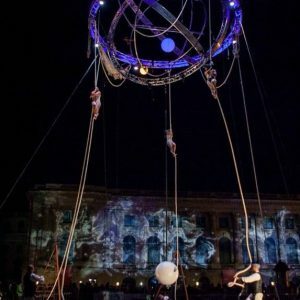 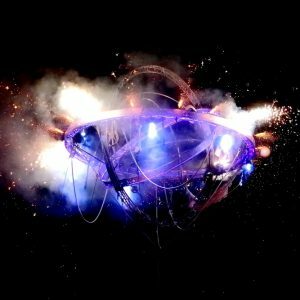 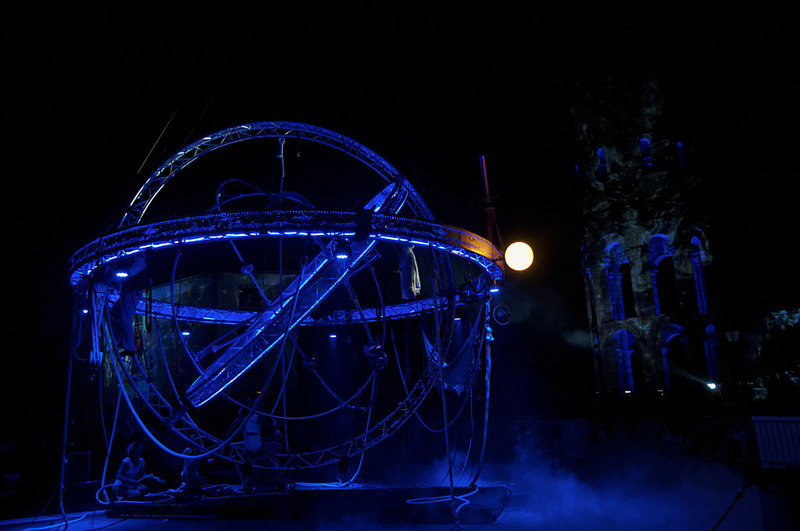 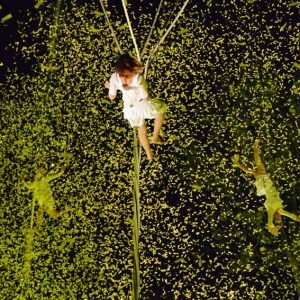 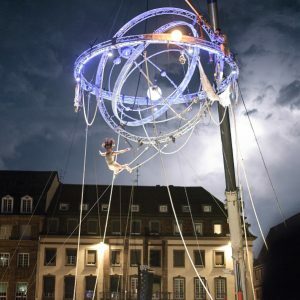 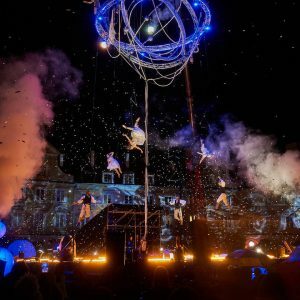 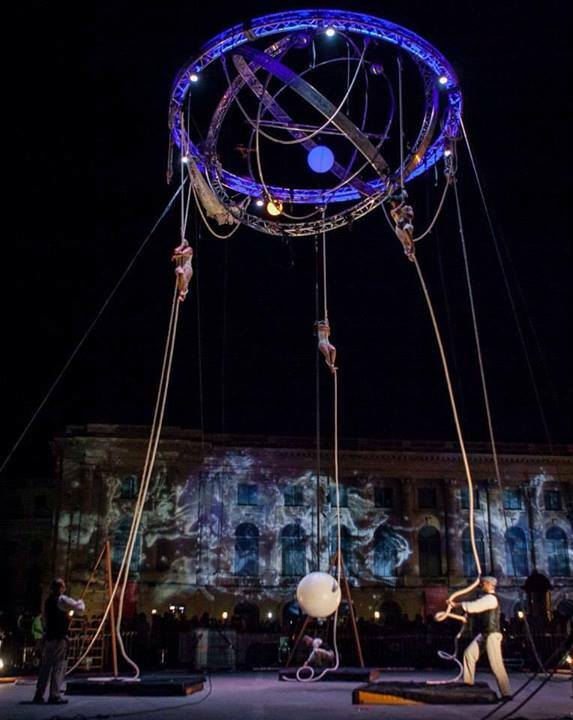 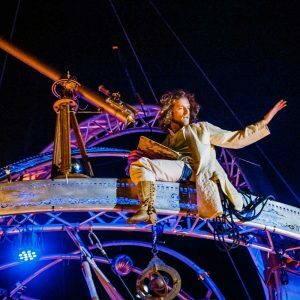 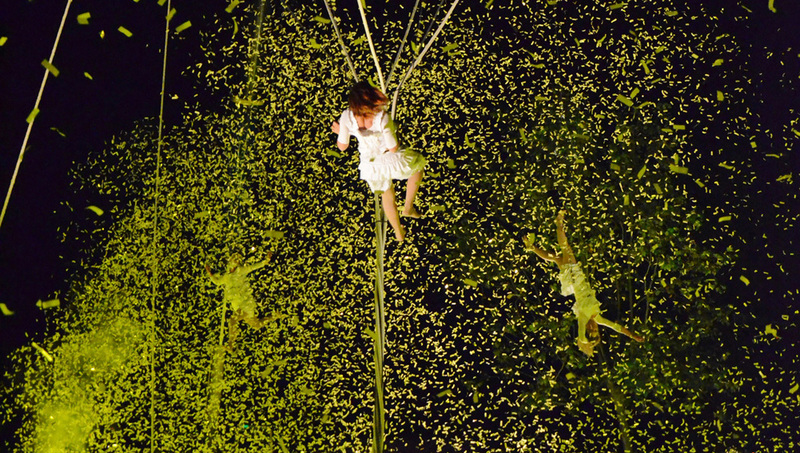 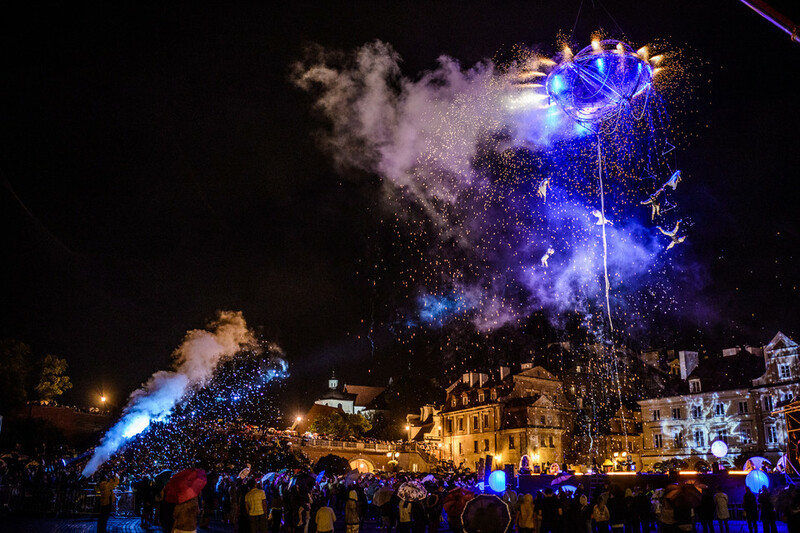 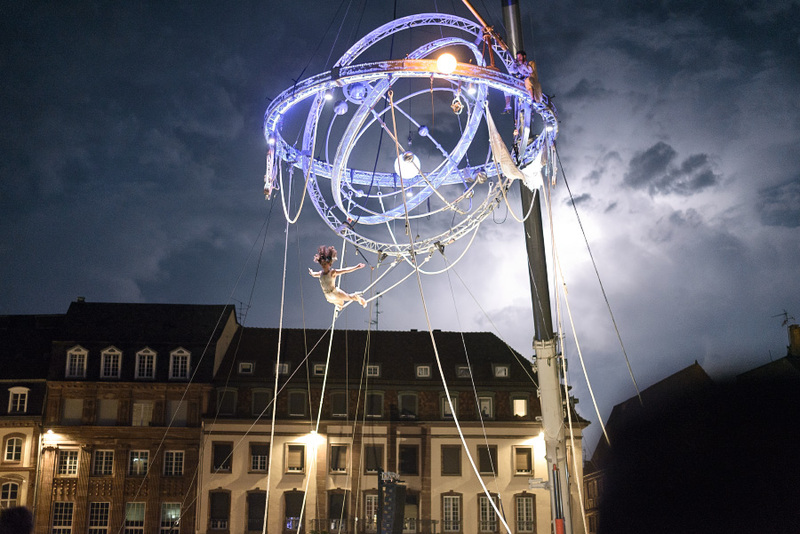 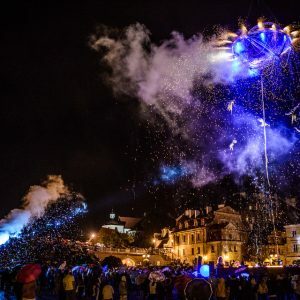 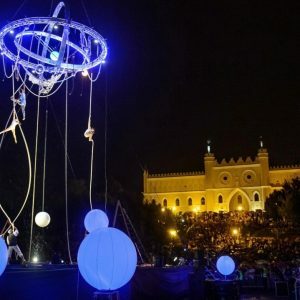 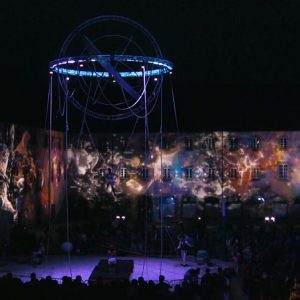 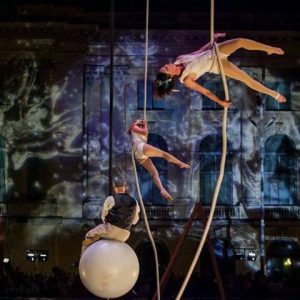 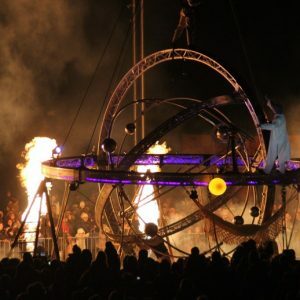 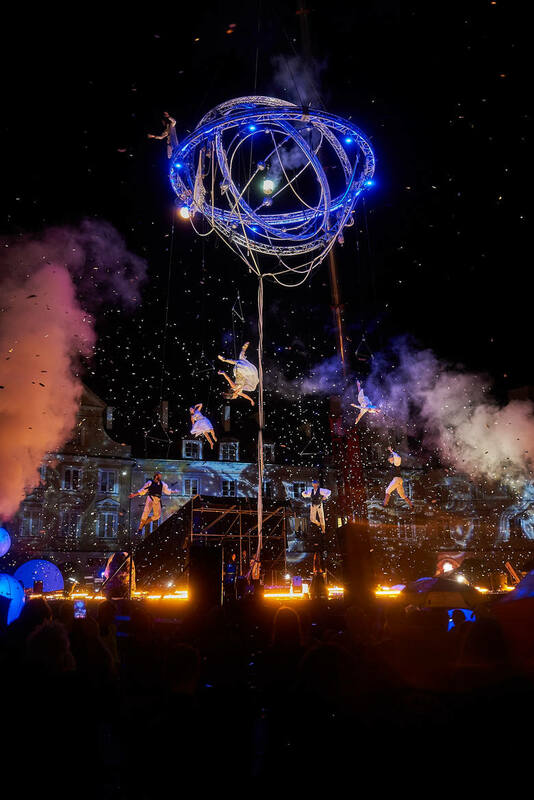 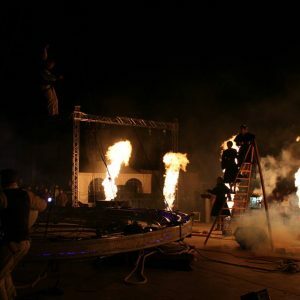 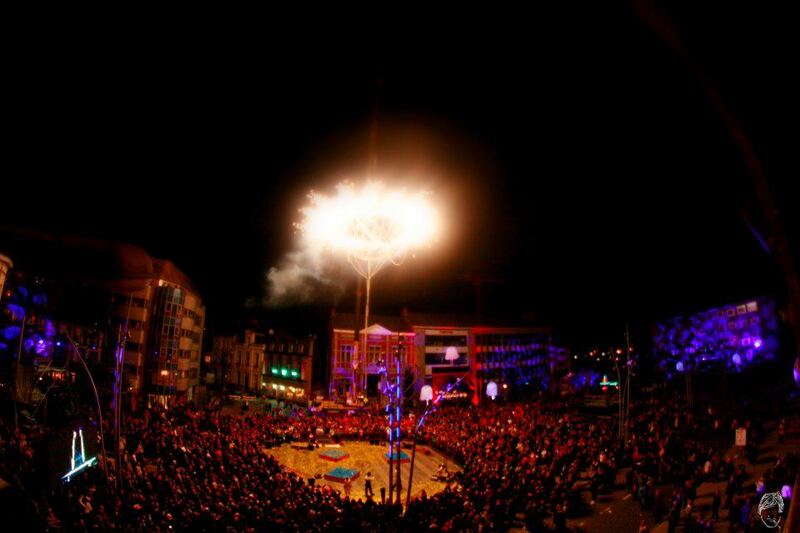 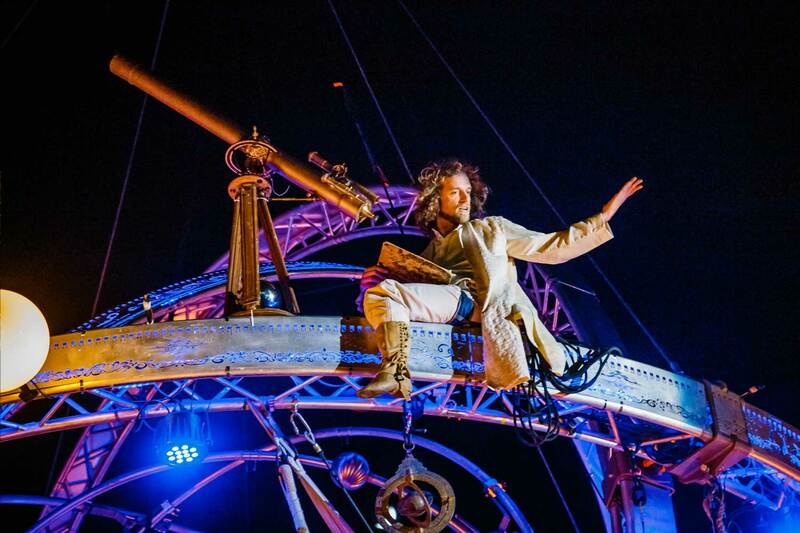 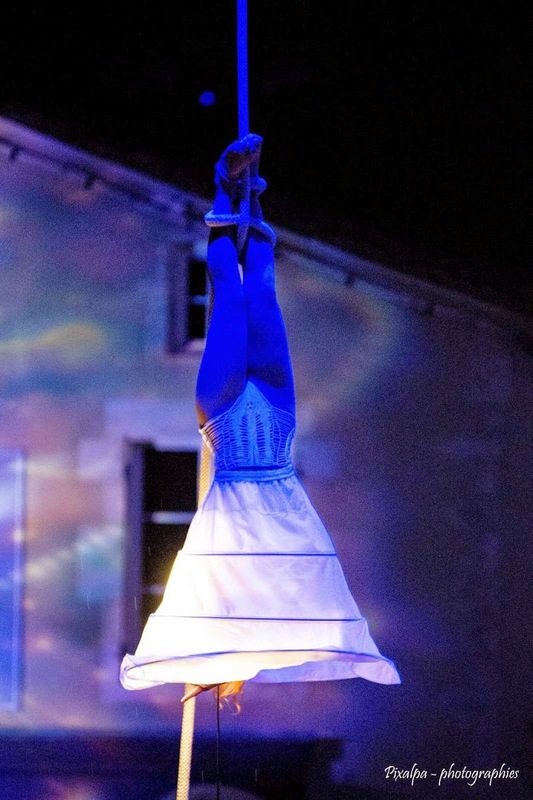 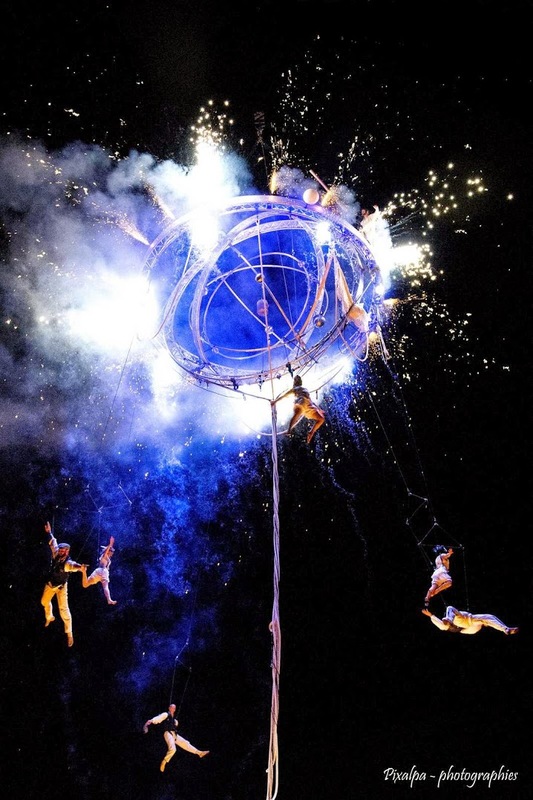 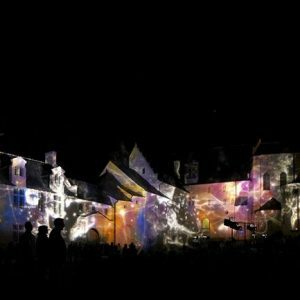 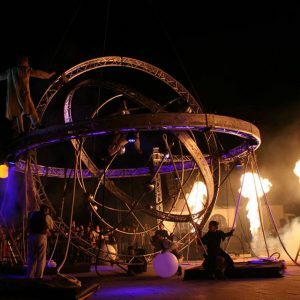 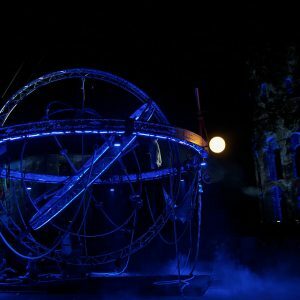 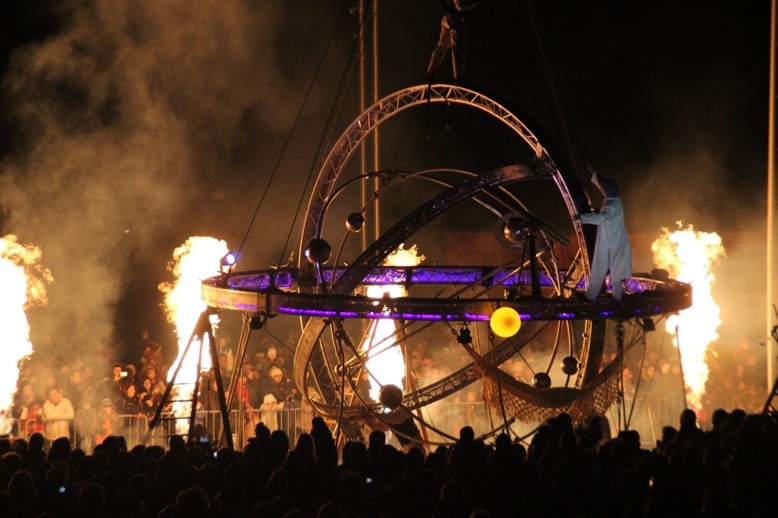 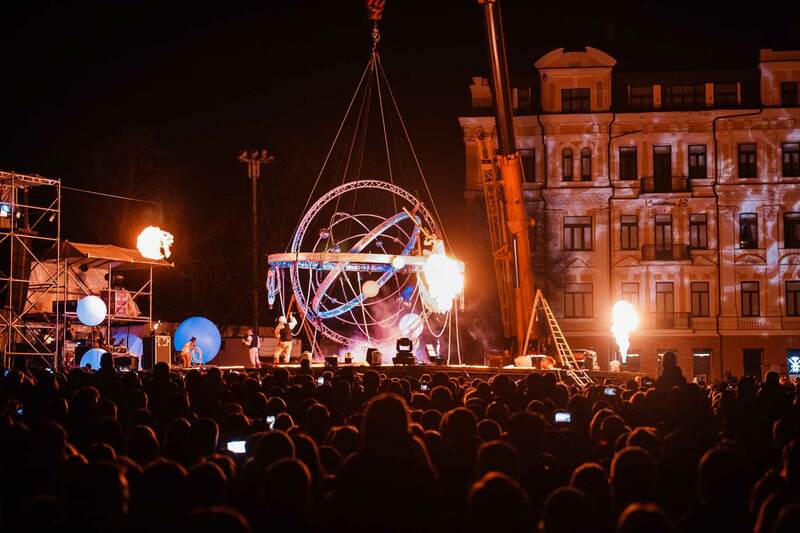 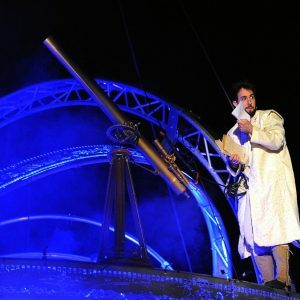 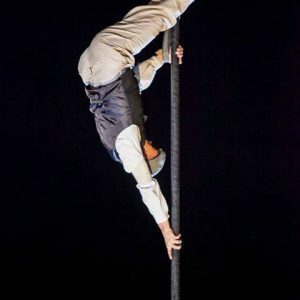 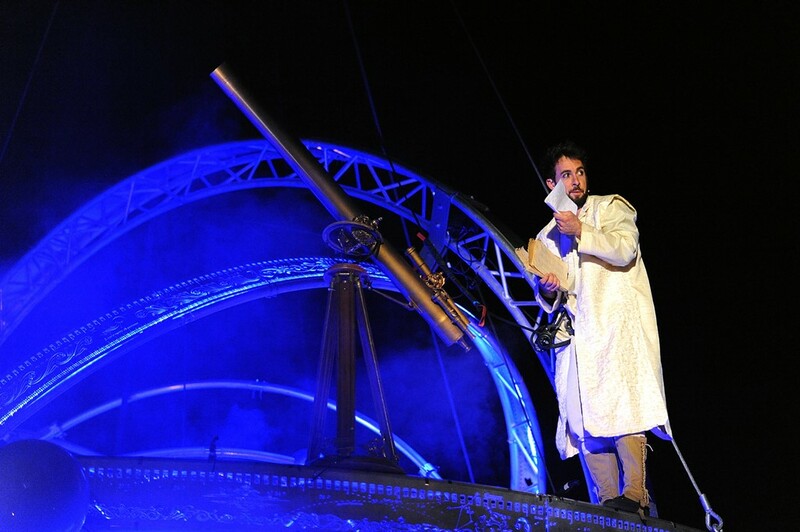 This show is a great public rendez-vous, it staged on an articulated structure, perched between 15 and 30m from the ground, the scene of several acrobatic paintings. 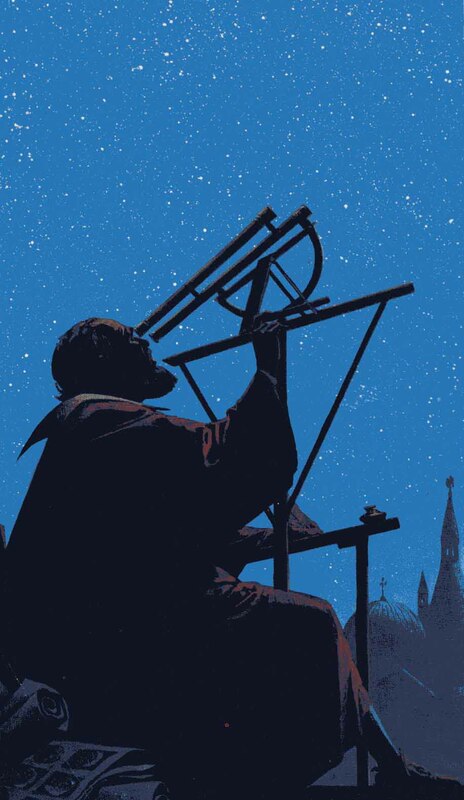 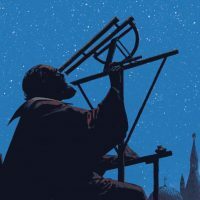 This is a humanistic story whose main inspiration is the awareness of the position of the earth, planet revolving around the sun and not the other way has the image of this scientific reality of the 17th century, however wrong. 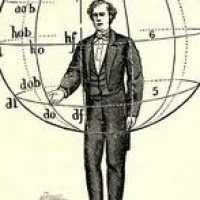 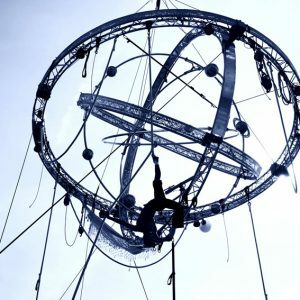 The sphere “armillary” outweigh the bodies (checks and balances, clocks or ellipse) creating a mechanical or artists are initially, the stars …. 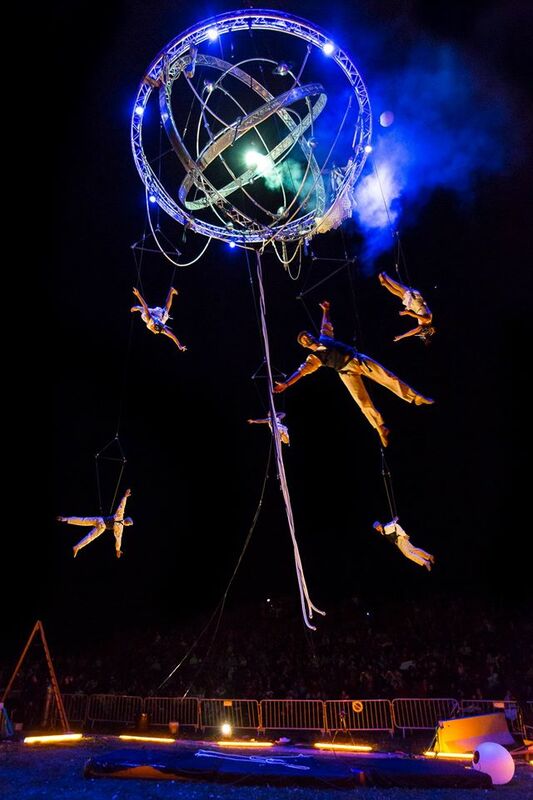 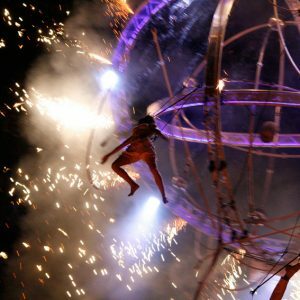 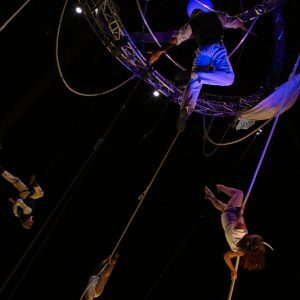 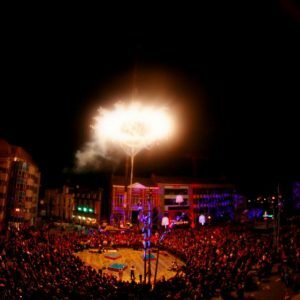 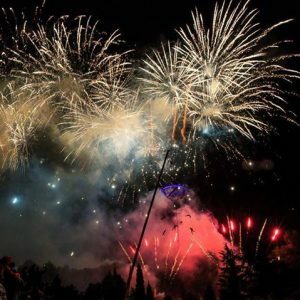 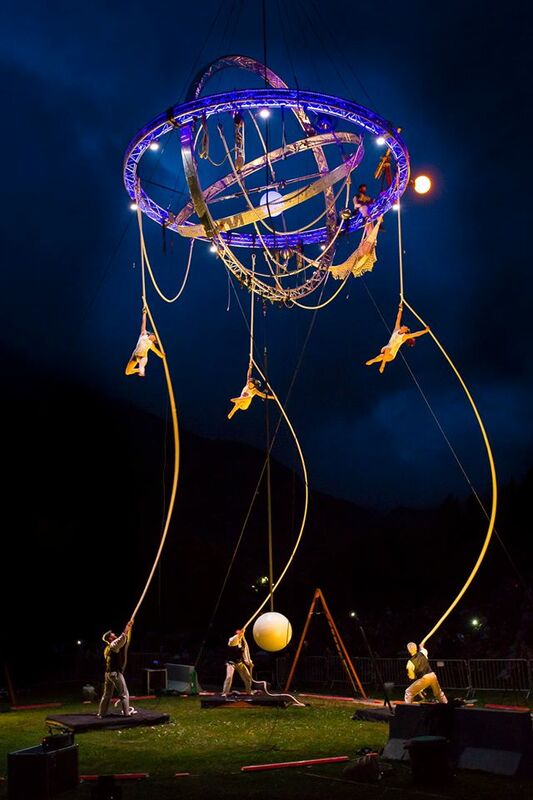 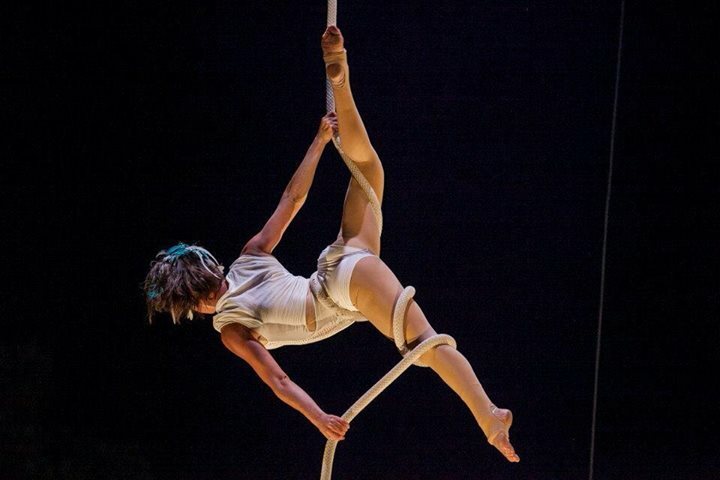 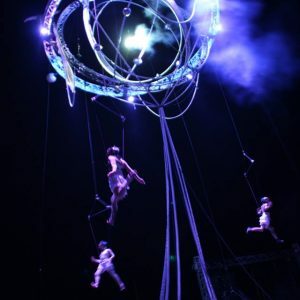 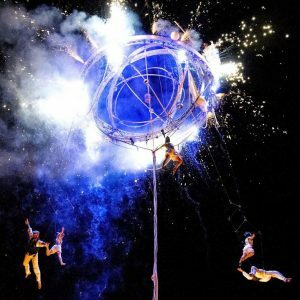 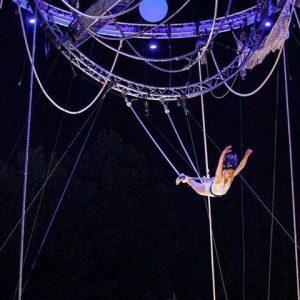 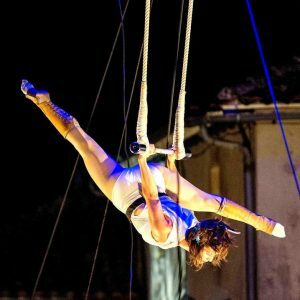 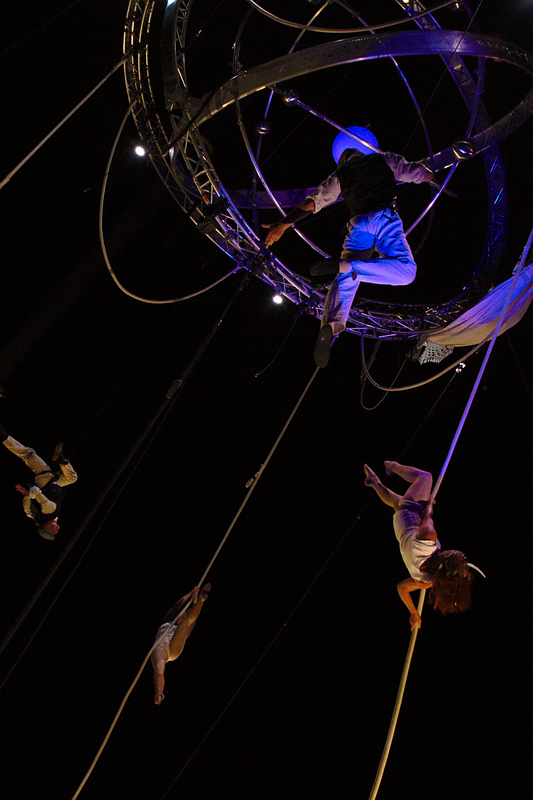 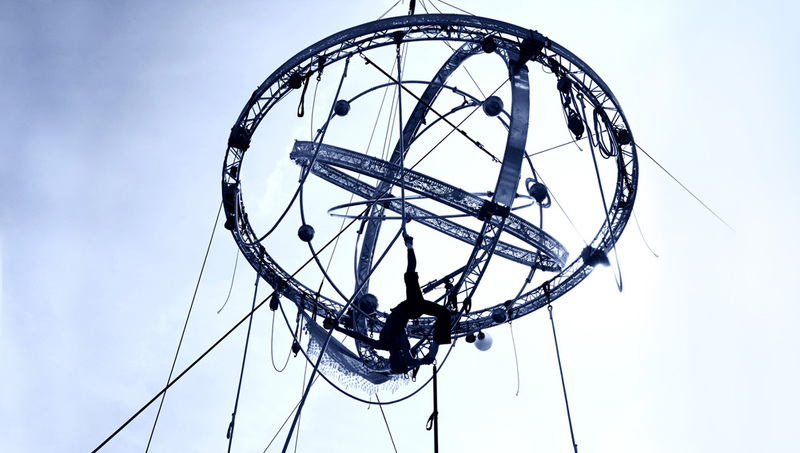 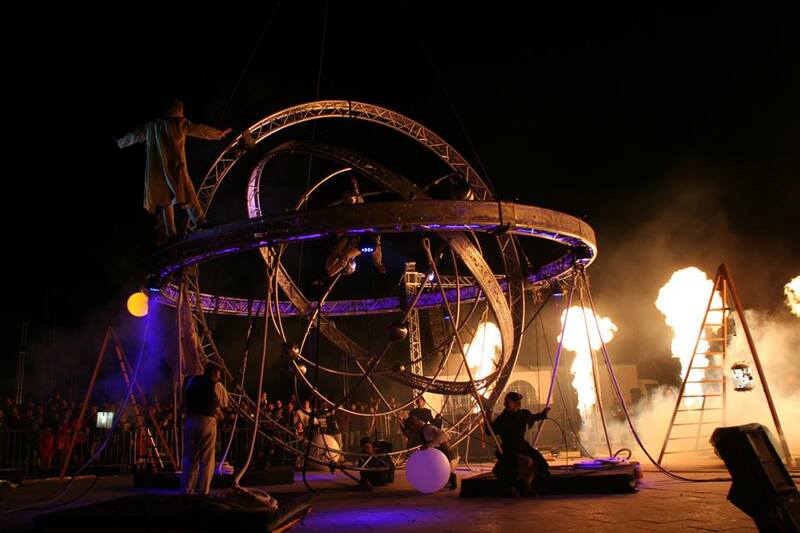 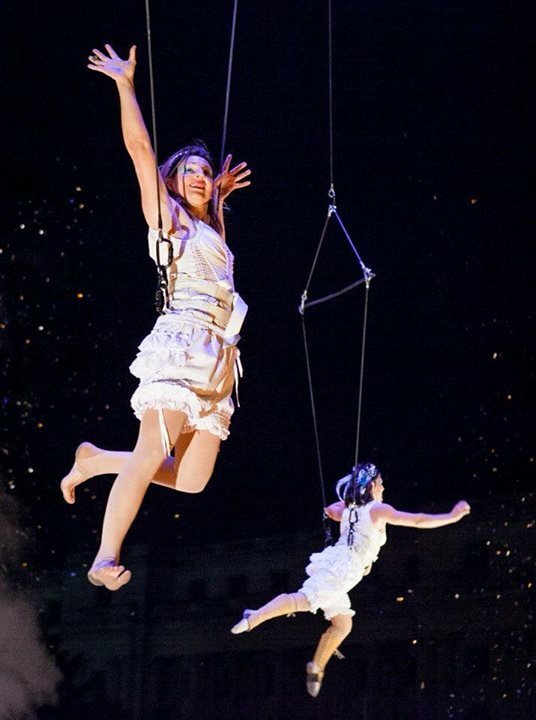 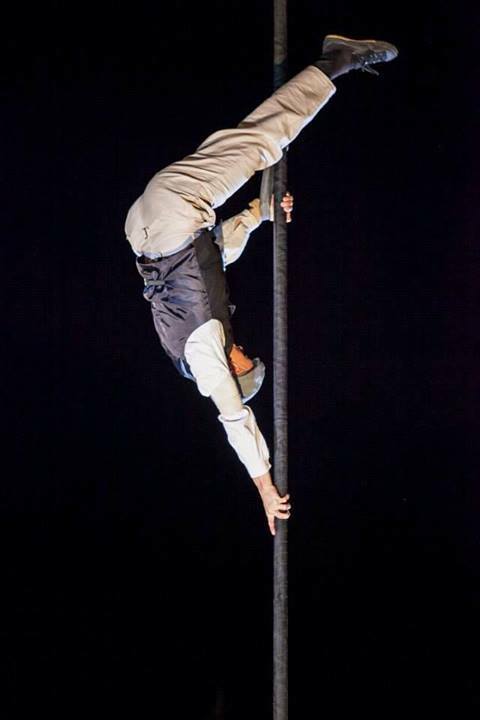 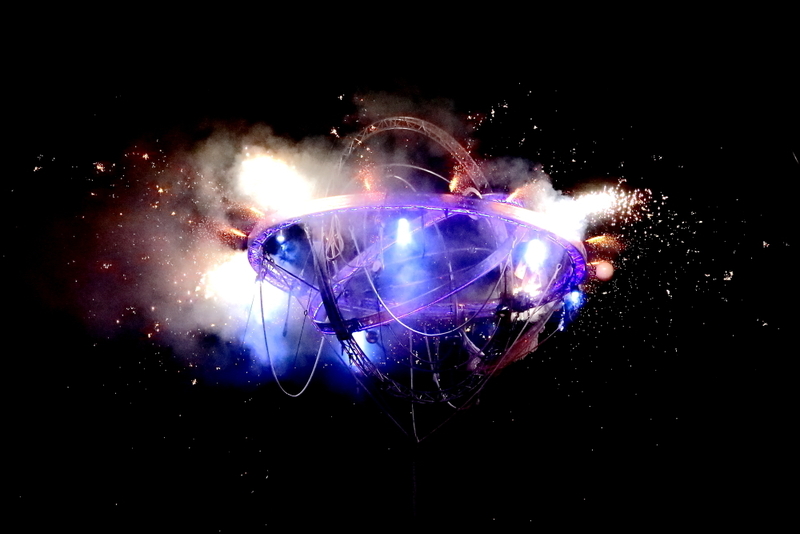 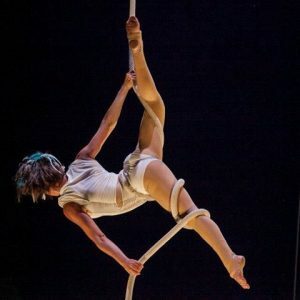 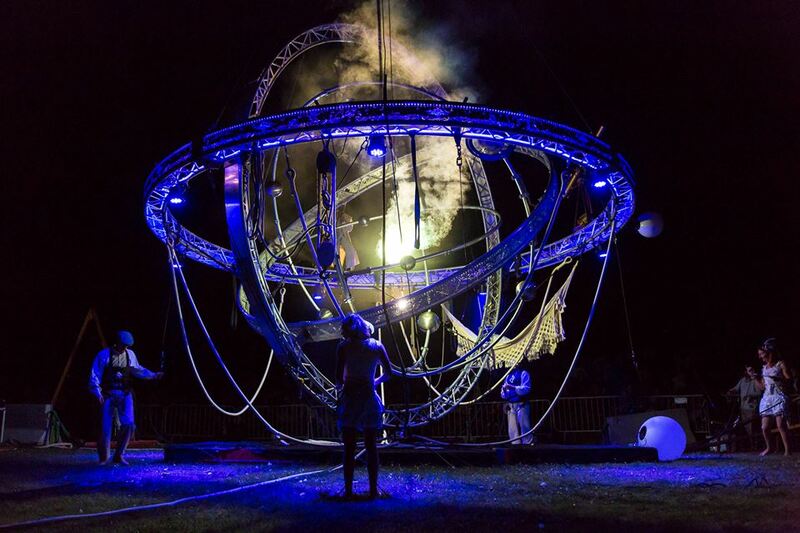 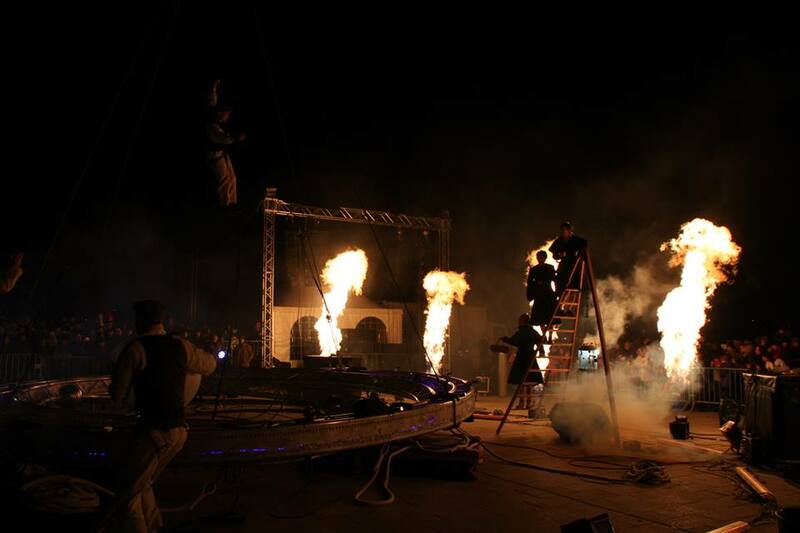 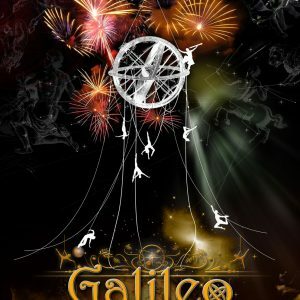 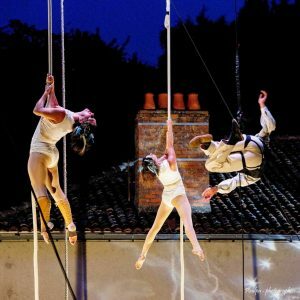 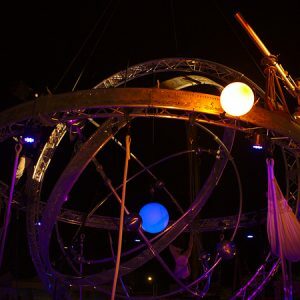 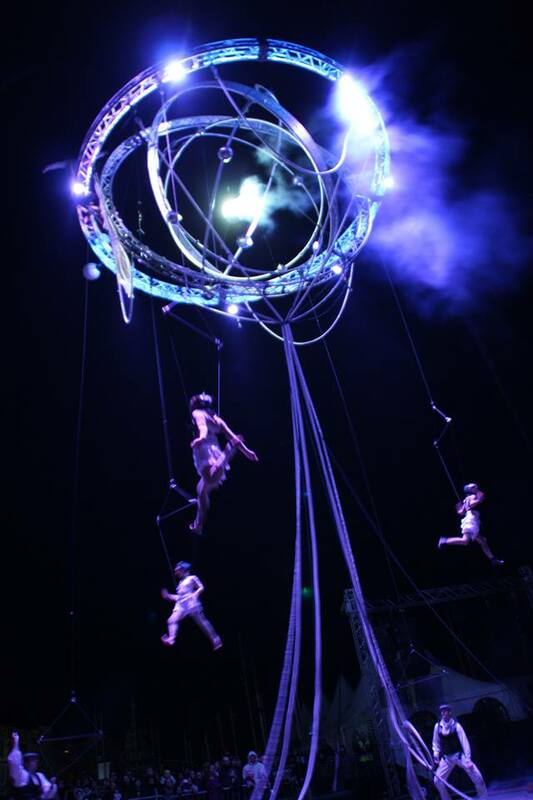 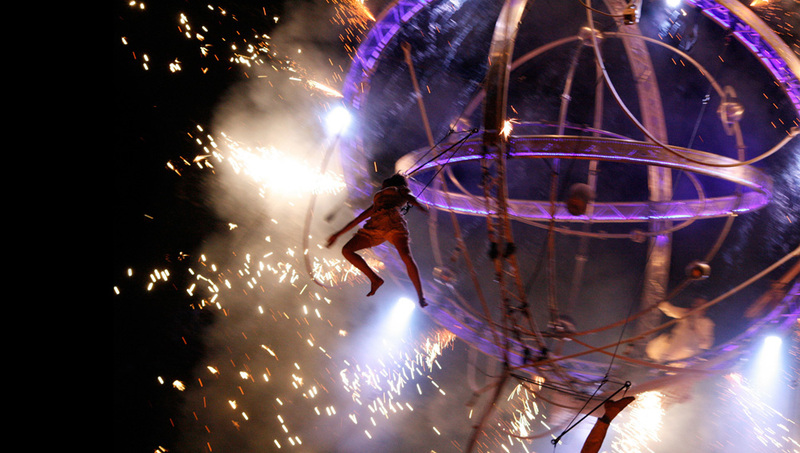 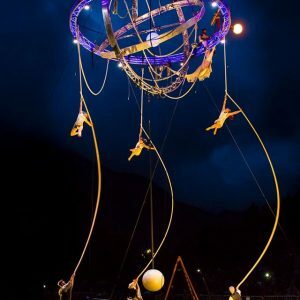 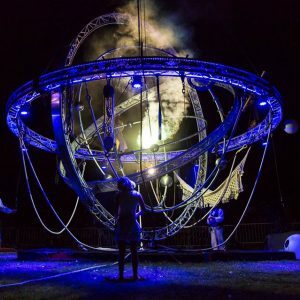 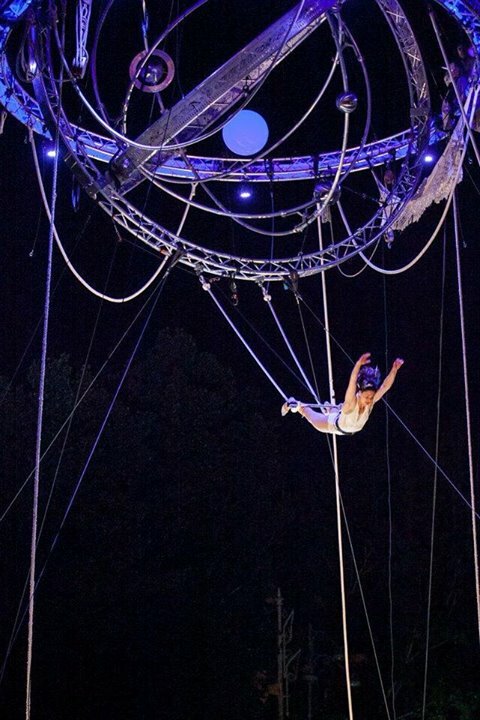 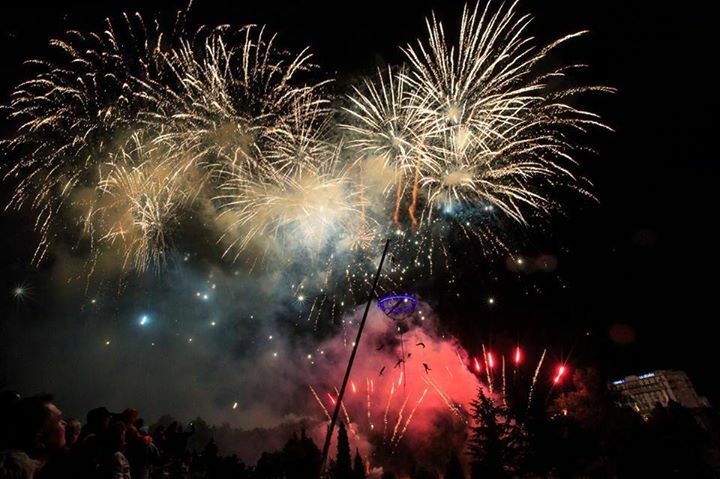 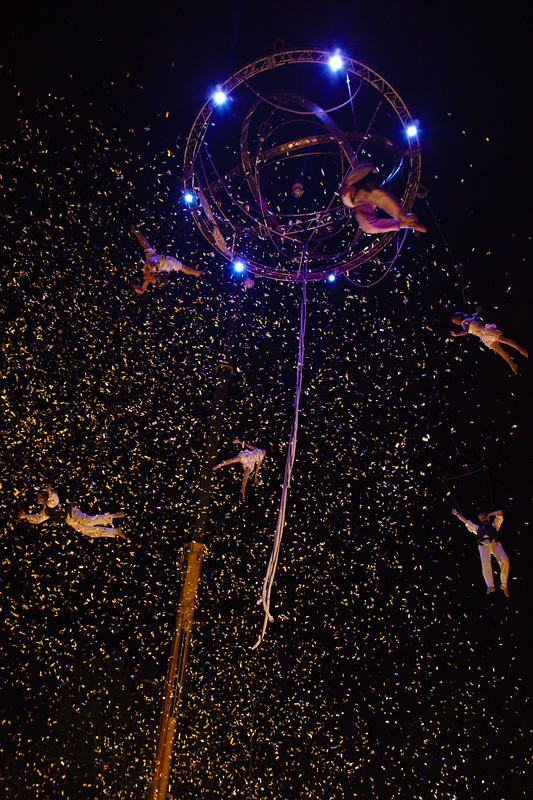 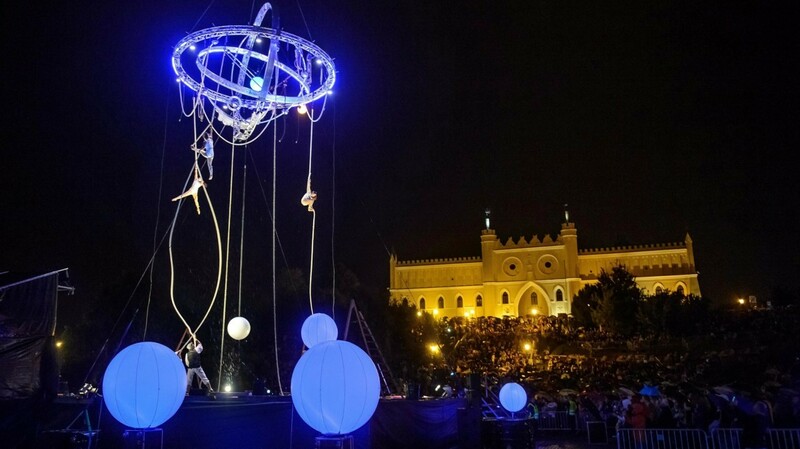 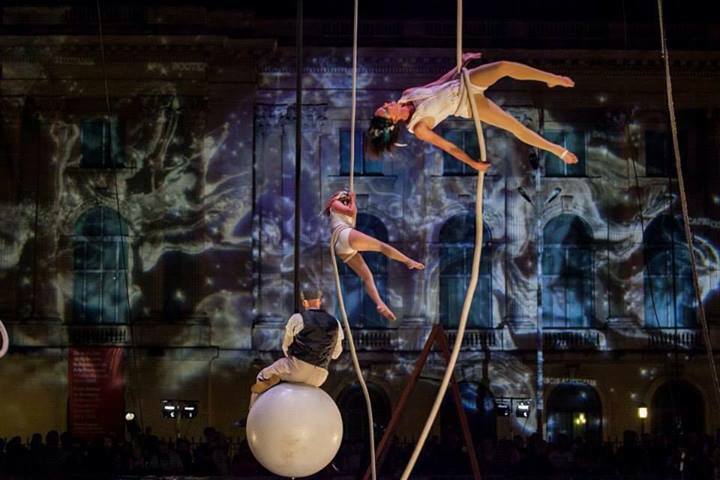 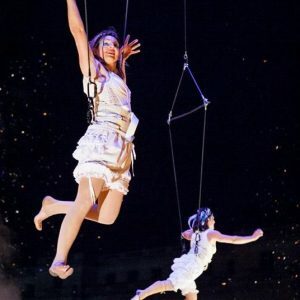 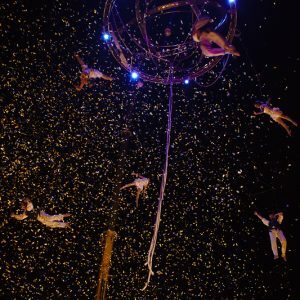 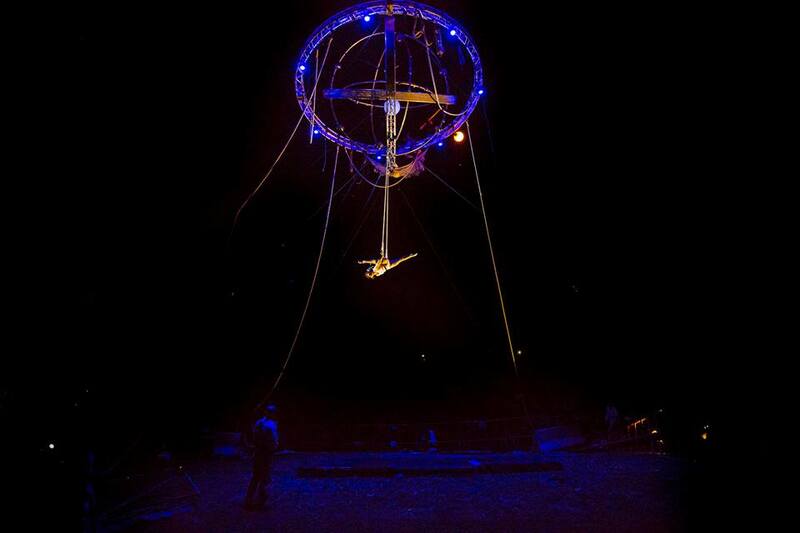 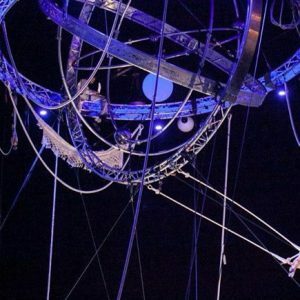 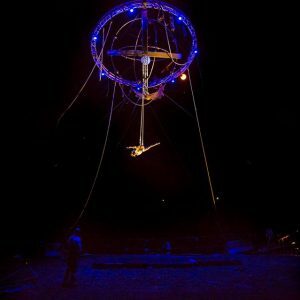 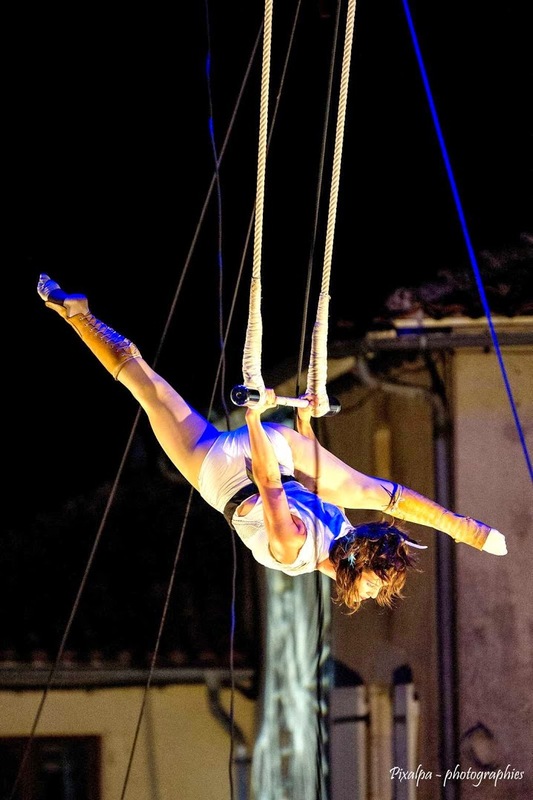 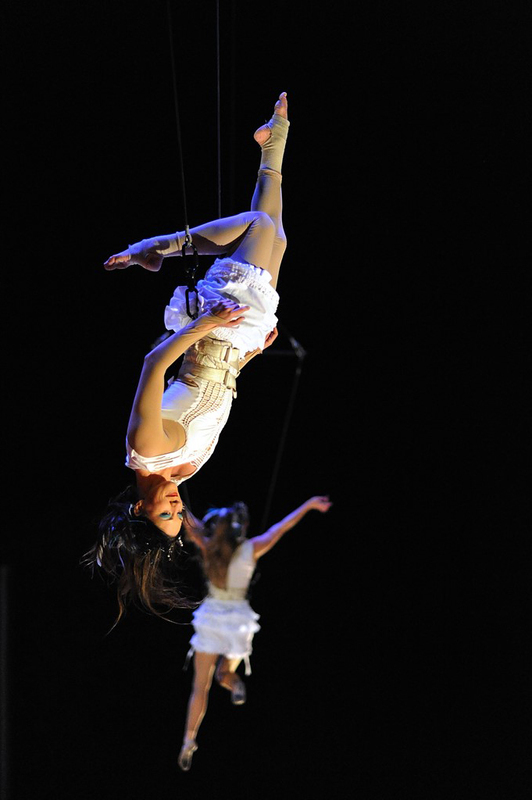 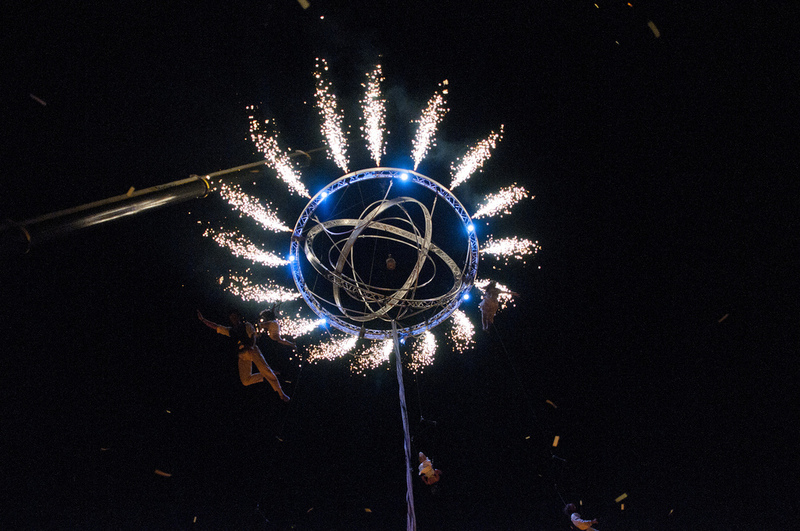 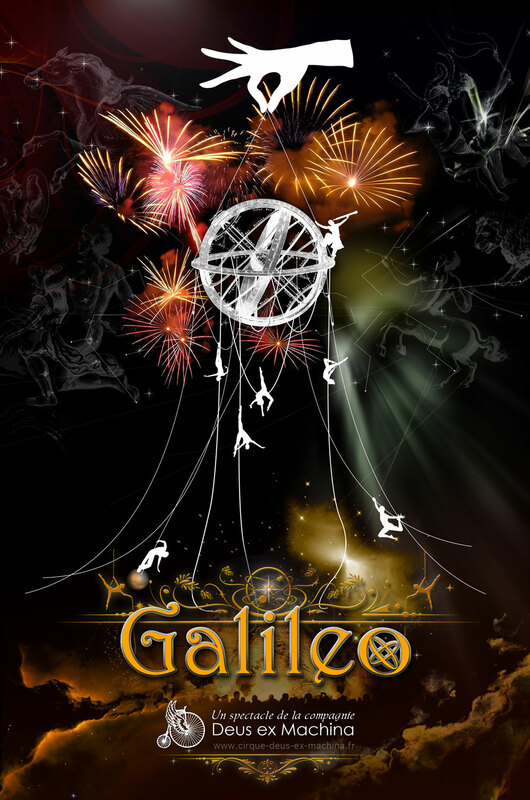 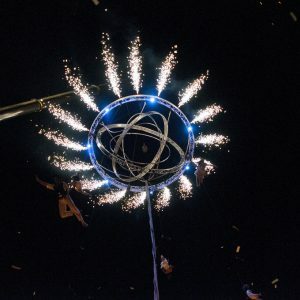 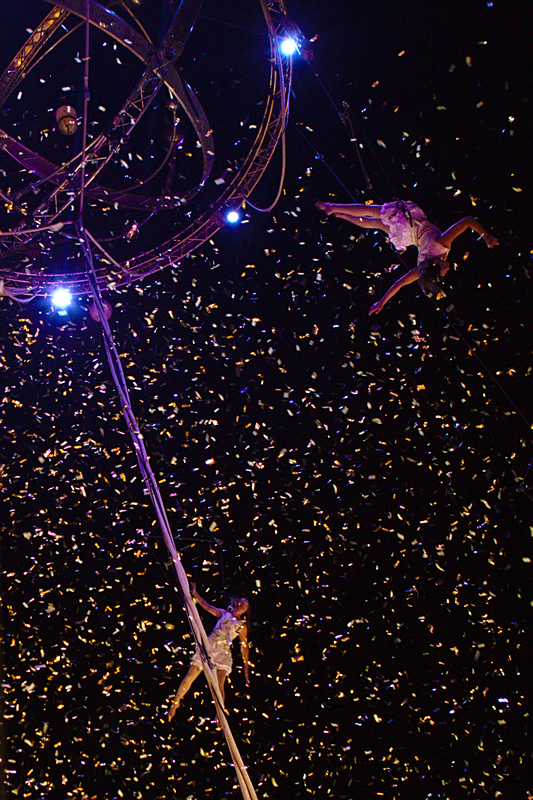 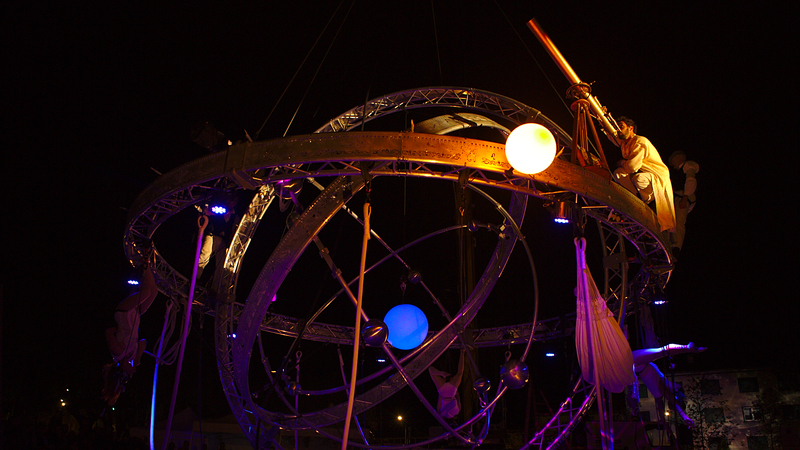 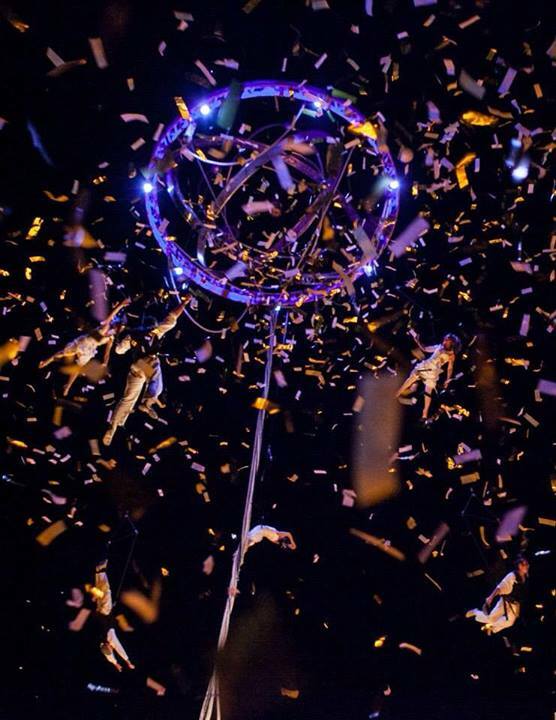 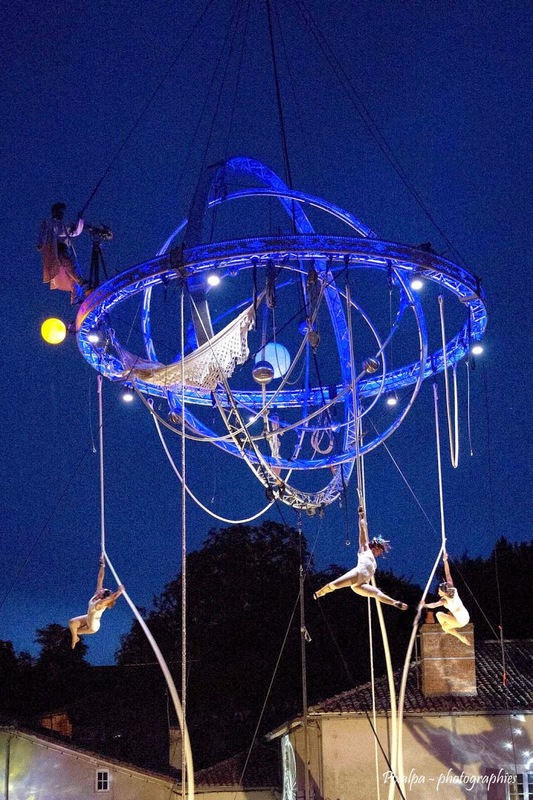 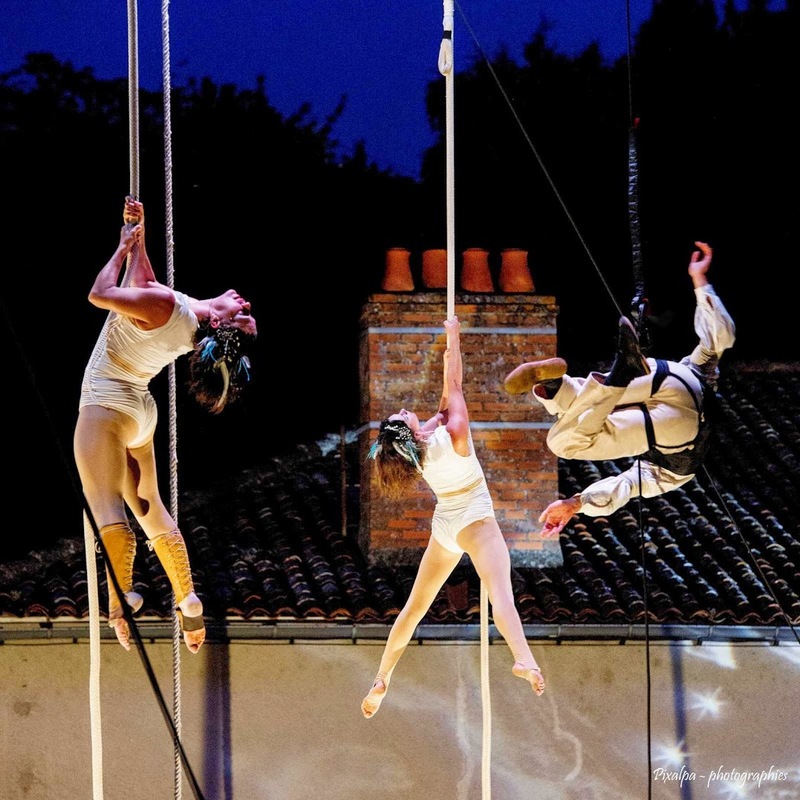 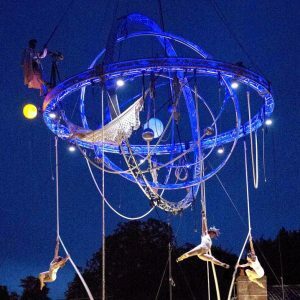 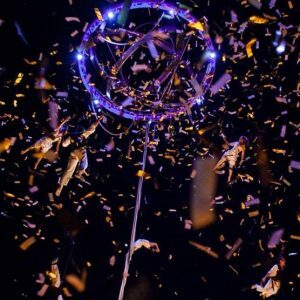 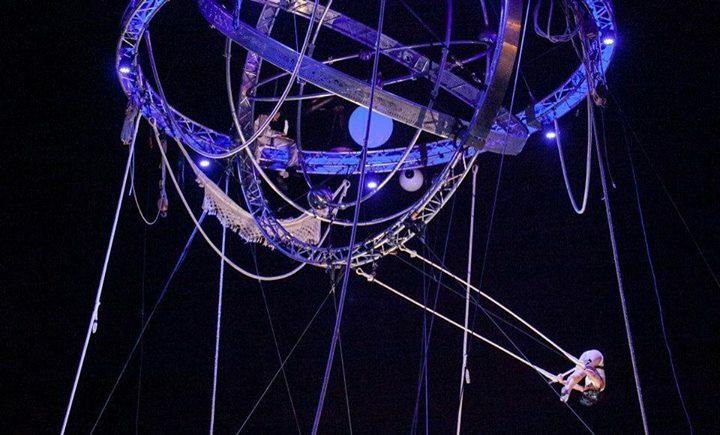 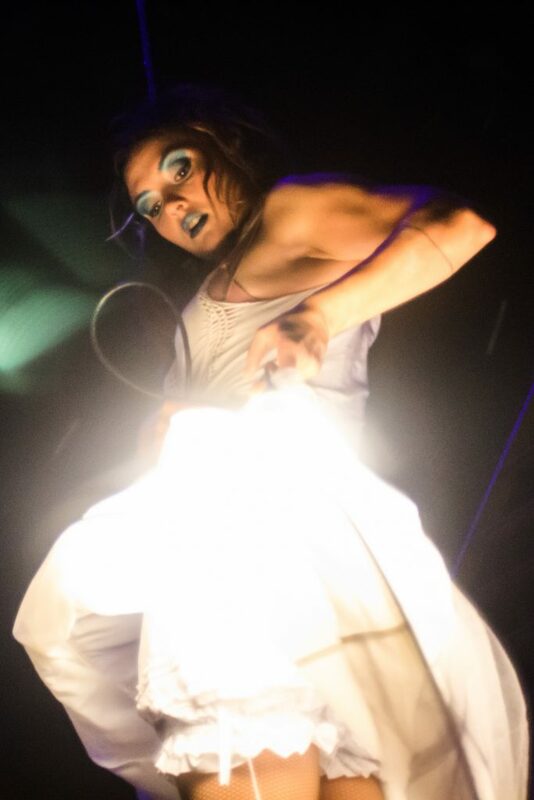 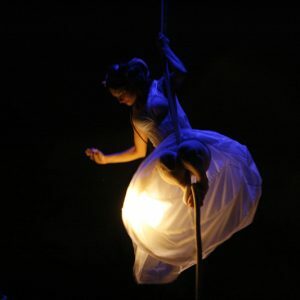 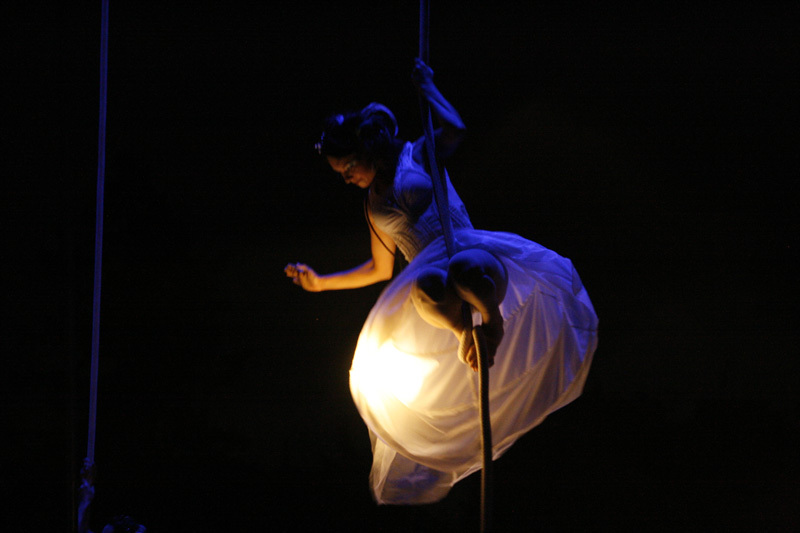 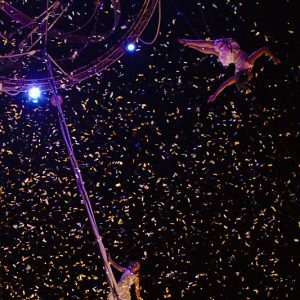 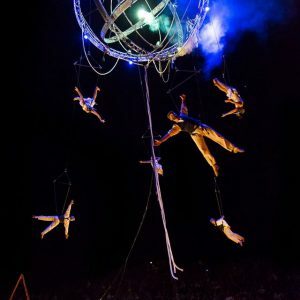 Aerial circus, rope, strap, Chinese swinging pole, swinging trapeze in large, aerial dance. 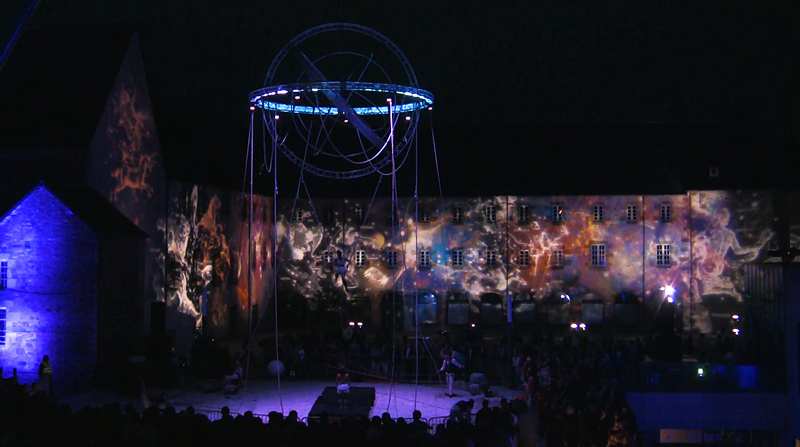 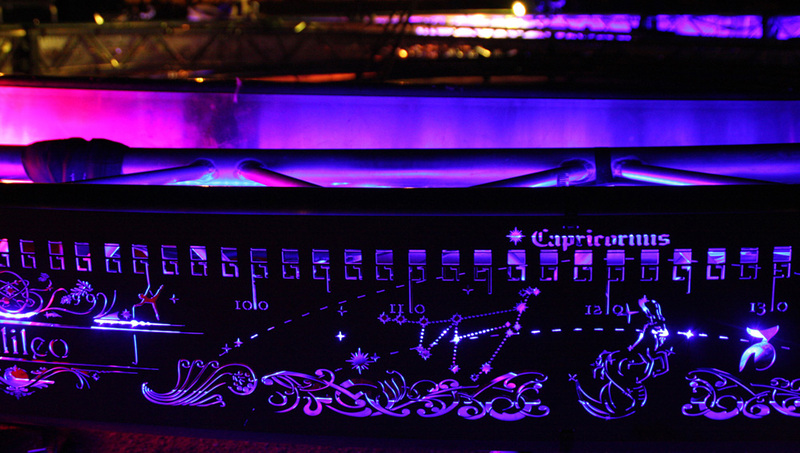 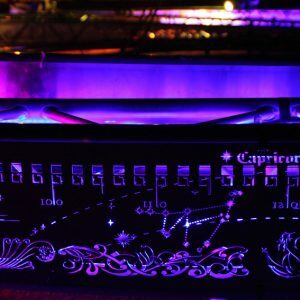 Including monumental projections nebulae and constellations as depicted in XVII on buildings.